Calculated Risk or Guaranteed Returns – what works better ? InvestmentComments Off on Calculated Risk or Guaranteed Returns – what works better ? Indians love the words tax-free and guaranteed returns when they are thinking in terms of investment. Even most smart people don’t pay heed to their analytical skills if they get to know the money they will be investing will generate returns with the above two features. They almost turn blind folded and don’t pay heed to any sensible advice if they see that the product is having guaranteed returns. Very few think of cross checking the fact what the product is actually guaranteeing – positive or negative returns with respect to inflation. In India, we have various instruments which cater to the needs of the risk averse mentality in general. However, the most popular are the Post office schemes, Public Provident Fund and LIC traditional policies. All these have their own set of guidelines and features and try to cater to various goals of the investors. Herein, we are discussing the LIC traditional policies. The traditional policies apart from generating 5% to 6% based on the time horizon and also give life coverage which acts a topping on the cake and probably helps in collecting huge premiums year after year as people get tax exemptions on the premium payable and the returns are also tax exempt. However, these policies with very little insurance coverage with respect to the actual needs of the people based on loss of their future earnings and also the inflationary pressures on meeting the household expenses and other financial responsibilities tend to provide a false sense of security about the protection aspect. Indians don’t prefer term insurance as the policies don’t have any returns associated with them though can probably serve the actual purpose of providing adequate protection if the cover is calculated after considering the financial responsibilities of the proposer in question. Whenever we are planning for any client usually we come across at least 10 policies with not even 15% of the actual cover needed. However, the premiums eat up almost 50% to 60% of the investible surplus thus leading to a situation wherein we have to advise for surrender of these policies and asking the client to opt for a term insurance. The existing policies either is needed to be surrendered or made paid up to make more funds available for investments as the concept of savings does not allow them to have inflation beating returns during the accumulation phase. During the accumulation phase wherein the goals are atleast more than 10 years away we should not make guaranteed returns as the sole criteria as in that way we may be ignoring the silent killer of the returns which is inflation. 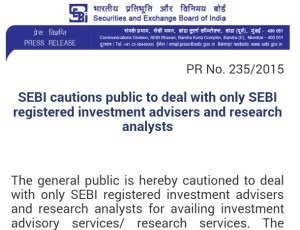 In India, mutual funds have not yet made much headway for the public in general due to the fact that returns are not guaranteed. But they probably provide the best opportunity to invest in equity and debt keeping in mind the risk appetite of the investor and have options probably for every time horizon needed. There are diversified equity funds which can act as great accumulation tools for a long term investor and SIPs which allow monthly investment through auto debit facility making even the smallest of investors to get the flavor of equity over the long term. Some funds also offer tax exemptions which can provide better tax adjusted returns if held for a considerable time horizon like in the case of traditional life insurance policies as equities surpass all instruments in providing the best risk adjusted returns. There are debt funds which also provide options to get better tax efficient returns in comparison to FDs in the short term of 1 year and also in a span of 2 to 3 years by utilizing the long term capital gains aspect in such cases. Our suggestion usually goes for investment through mutual funds while protection is taken care through term insurance. This also enables the client to keep himself protected even in a bad year for his earnings as the investment and protection aspects are treated separately. Guaranteed returns should be one of the top most criteria when the client is in the distribution phase (post-retirement) or when the goal year is just round the corner. Our recommendation usually is to plan for 2 years earlier to the goal year and switch the funds to avenues with very little volatility in returns. The retirement corpus should ideally be invested in securities with safety of capital and guaranteed returns. We should therefore look forward to undertake a little bit of risk in volatility of returns while we are building up the corpus and switch to guaranteed returns when it’s time for utilizing the same. Looking for guarantees always will actually guarantee falling well short of the inflation adjusted figure at the time of actual need in most cases. Subhabrata Ghosh is a CERTIFIED FINANCIAL PLANNERCM, Practitioner. He provides financial advisory services to individuals, families, professionals and businessmen. He likes to work as their financial coach to help them achieve their dreams by creating customized plans for their financial freedom and fulfillment of their financial commitments.Since he has a penchant for educating others in the field of investments and financial planning, he organizes financial literacy awareness campaigns in corporate houses, residential apartments, clubs, associations and other forums and gatherings. He writes blogs for Financial Planners' Guild India to inculcate awareness among the masses about personal finance. He is also a visiting faculty member of the International College of Financial Planning.In all his conversations, writings and teachings, he avoids technical jargon and drives home his insights and opinions about personal finance in a lucid language. 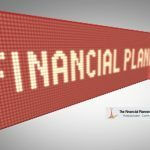 According to him, financial planning is a continuous process which acts as a roadmap to clients in their journey of achieving financial milestones.